One of the biggest challenges which confronts patients is to find a reliable and trustworthy doctor. This is not a problem which has been successfully solved as yet. recommends . 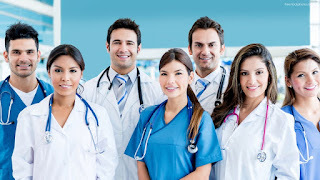 However, people don't trust family doctors any more , because of the worry that he will refer you to a specialist who will give him a kickback , rather than to the best one. Similarly family friends may not always be the best source of information about how technically competent a particular doctor is. This is why patients have turned to doctor rating sites on the web. However, these are also riddled with their own sets of problems . Most of these ratings are provided by patients, who are often not very good at judging the technical competence of a doctor. They are forced to use surrogate measures, for example, the ambience of the clinic or the doctor's bedside manner. These are important criteria, but they don't tell the poor patient much about how good the doctor is as a medical professional. The surgeon may be very charming , but may be a butcher in the Operating Room. How is the poor patient meant to decide whom to select for his surgery? Here's an alternative option - let's get doctors to rate other doctors ! They do this informally all the time anyway - so why not share their insights with the rest of the world ? We already have online doctor networks and platforms , where doctors interact and engage with each other . They use these to share information and ask each other questions, so they can provide better care for their patients. Such a site would also be very valuable for patients. Doctors are the ones who know quite a lot about how good or bad other doctors are - and they are the best judges as regards the technical competence of their professional colleagues. What we're really doing is trying to look for the doctor's doctor - which doctor would a well-informed doctor go to if he had a medical problem himself? This is information which would be extremely valuable . While it's easy to fool patients with charm and a five-star decor, you can't fool other doctors all that easily. Doctors know who the good specialists in their own locality and domain are, because they already refer patients to these doctors themselves, which means they have a good sense of what the outcome for those patients is. This doctor rating platform would be run by doctors, for patients. Doctors would have to explain why they felt another doctor was particularly good - perhaps he was a good teacher in their medical college; or because he was their colleague; or because they've referred patients to him who've done well. This would provide a more sharply focused and medically accurate doctor rating platform. Think of it as LinkedIn by doctors for patients ! This would not be a doctor networking site like Sermo, whose primary purpose is for doctors to discuss information with each other. This site would help patients to be able to find the right doctors , based upon the links and connections they have with other doctors. Thus, if you trust a particular doctor, and he gives high marks to another doctor, then there's a high probability that this other doctor is competent and reliable. In fact, this is how most doctors find a specialist for their own medical problems - by asking their colleagues for "inside information" as to whose the best specialist. However , this is done informally, and patients don't have access to this network. We could open this up, and encourage transparency and openness. A doctor who has lots of likes from his colleagues has a higher chance of being a better doctor ! I agree that as with any other platform , it has its own limitations, and thus it's possible that it could be gamed. Thus one doctor could tell another, " You give me a good rating, and I'll give you a good rating back." This "You scratch my back, and I scratch yours" could become a problem. This could be controlled because patients would be able to see the links between doctors; and since the platform would be moderated , all the information would have to be verified and approved by a third party.